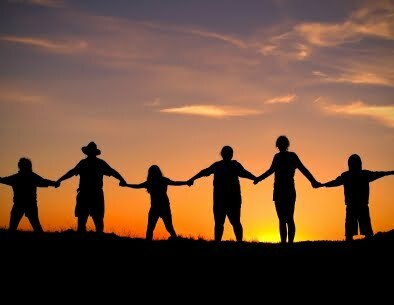 The Association has been established to further an ecologically sustainable future, by environmental, social, technological, economical, cultural and spiritual means. In December, 2008 we purchased Bellbunya, an elevated 40 acre property located in the Sunshine Coast hinterland, 10 minutes drive from Eumundi and close to trains and bus services. An existing retreat and conference centre, the property is ideally placed to model sustainability in every aspect, and to use as a base for teaching aspects of holistic sustainability. With 40 acres of green rolling hills, high rainfalls and abundant surface and ground water, the property is ideal for implementing and teaching sustainable eco-agricultural practices, including organics, biodynamics, Permaculture and farm forestry. The land incorporates an underground river, springs, the headwaters of Belli Creek and diverse faun and flora, including some threatened and rare species. An existing 65 seat restaurant and commercial kitchen will not only allow catering for events and conferences, but also promote the benefits of local, ecological food growing and healthy eating. The existing accommodation provides comfortable overnight stays for groups of 12-25 people, primarily in twin-share fully ensuited accommodation. 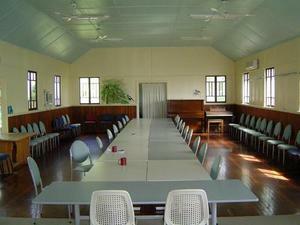 The Bellbunya Community Hall, formerly an historic church, is fully integrated within beautiful garden surroundings. Suitable for conferences, workshops, yoga or dancing, the hall seats 120 persons and is well equipped with comfortable, padded seating, air-conditioning, tables, DVD/Video/Data Projector and 4.5m D. cinema screen, audio equipment, whiteboards and kitchenette. As the purpose of the centre is to operate as a knowledge centre and provide courses in sustainable living and sustainable technologies, we encourage people engaged in supporting an ecologically sustainable and conscious future to utilise the centre. The centre is managed by the Bellbunya Community Association. Special rates apply to other organisations involved in promoting sustainability, community building and creating a better future. The centre supports enterprises for the research, manufacture, distribution and promotion of renewable energies, clean technologies and low pollutant transport alternatives. We have just completed a solar energy project in partnership with Nambour Tafe students providing 7.5 KiloWatts of renewable energy from the site. Bellbunya is 100% powered by renewable energy and we are planning workshops to demonstrate the conversion of cars to fully electric cars and build wind turbines. We have run several workshops on sustainable building and designs. Regular workshops demonstrate how to build solar-designed sustainable buildings and earth and cob structures. 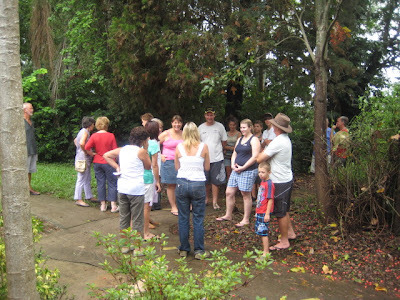 Join in one of the regular tours of the property featuring aspects of sustainability. Tours and Community Explorer Experiences happen each month and are open to everyone. We appreciate the support of the Gambling Community Benefit Fund (GCBF) for assistance with our solar energy project; the Sustainable Living Association Inc for the use of their audio-visual equipment and the Department of Families and Community Services for our garden equipment.